The writing was on the wall when Rafe Furst settled with the United States Department of Justice (DOJ) a couple weeks ago; ending his involvement in the Black Friday case the DOJ sprang on PokerStars, Full Tilt Poker, and AP/UB Poker back in April of 2011. On Wednesday we learned that Howard Lederer, the man who along with CEO Ray Bitar bore the brunt of Full Tilt Poker’s failings both pre- and post-Black Friday, has also settled with the DOJ, and for a much smaller amount than anyone in the poker community imagined. Lederer, along with Furst and Chris Ferguson were only added to the Black Friday indictments in an amended complaint filed in September of 2011. Since that time Lederer has maintained a very low profile around Las Vegas, right up until the deal between PokerStars and the US DOJ saw PokerStars take over the floundering Full Tilt Poker and make good by the players. 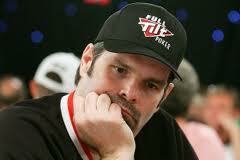 Since then Lederer went on a media tour to try to downplay his role with the company (assertions refuted by poker blogger DiamondFlush) and has since been spotted at the high-stakes poker tables around Las Vegas; much to the dismay of many poker players who had their lives turned upside down thanks to Full Tilt Poker. According to the settlement documents filed on Tuesday, Lederer will forfeit just over $1 million, along with a number of assets including houses and property, as well as a 1965 Shelby Cobra. While the settlement is a sizable amount in the grand scheme of things, the numbers floated earlier by the DOJ amounted to tens-of-millions of dollars, although there is no word on what Lederer’s finances look like at this point in time, and whether or not the settlement amount will effectively bankrupt him. Like Furst, Lederer also admitted to no wrongdoing in his settlement agreement, and is now exempt from further prosecution on this matter. The third member of the civil case triumvirate, Chris Ferguson, is in settlement talks with the DOJ at present, leaving only Ray Bitar to deal with the government –Bitar’s case is far different than the other three in that he was criminally and civilly charged by the DOJ for his role with Full Tilt Poker; Bitar is currently awaiting trial.